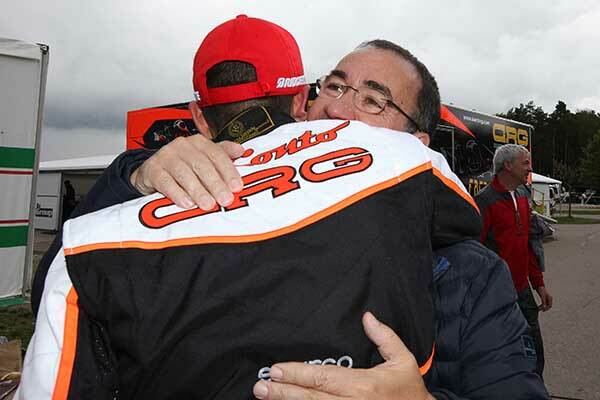 Each year CRG President Giancarlo Tinini publishes a Question & Answer interview summarising the season from CRG’s perspective, plus other thoughts and comments about karting. In the interview below, Tinini calls for softer tyres in karting, confirms the company will have three international teams (CRG Racing Team, plus Zanardi and Kali Kart), expresses support for the Briggs & Stratton engine and endurance racing, and opinions the penalties for bumper infringements are negatively affecting the sport. In 2017, the CRG Racing Team again scored some excellent results in international karting, the highlight being the 2017 CIK-FIA KZ World Championship by Paolo De Conto in Wackersdorf on CRG-TM-Bridgestone. 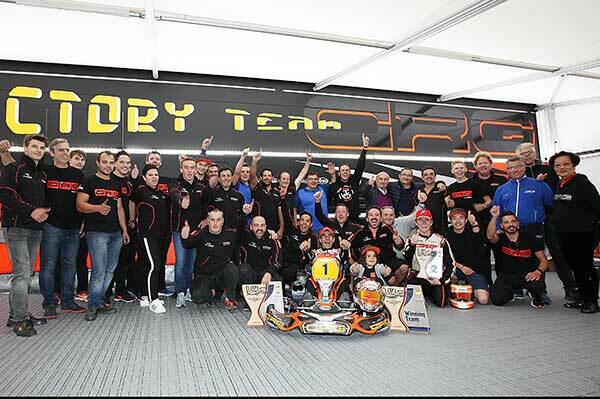 This was CRG’s fourth KZ World Title in the past 5 years, and the eighth in the last 10. “KZ is certainly the class in which we are most successful” Tinini commented, “but we also scored good results in the other classes as well. With a bit more of good luck, we could have claimed important results in the CIK-FIA Championships, alongside the KZ World Championship won by De Conto and the European KZ Championship taken by De Conto again. Q: The four World titles in KZ in the past 5 years started with Max Verstappen in 2013 and were followed by that won by Jorrit Pex in 2015 and the double win by Paolo De Conto in 2016 and 2017. In the past 10 years, Jonathan Thonon kicked off the positive series in 2007 taking three world titles in a row before claiming another one in 2011. Q: What should we expect from regulations to improve karting as a champions training ground? Q: What are the novelties for CRG Racing Team in 2018? GT: “We will have another new important collaboration with TM Racing regarding engines. They will continue to give their support in KZ, but also provide some of our drivers with the engine in OK and OK-Junior. We will nevertheless continue working with Iame engines prepared as usual by KVS, a collaboration we have been very happy with in the last few years. Regarding drivers, several of our drivers have already been confirmed, but we are also working at several new agreements and we will bring to our team some important names. Regarding our brands for 2018, alongside CRG, we will have Zanardi with the external team led by Willemjan Keijzer and Kalì-Kart, for which we are considering a collaboration with another team”. Q: Enzo Trulli, Jarno Trulli’s son, will join the team in 2018. Q: Regarding costs of international karting, what are the actions that can improve the current situation? GT: “As constructors we are doing our part, but I would say that further actions can be taken regarding entry fees, fuels and tyres. Little things, but when considered together they can make a team save a lot of money. Our Racing Team already has very low costs, even lower than other teams”. Q: What is the reason that international OK and OK-Junior classes still struggle to make it into National Championships? Q: What is CRG balance of 2017 from a commercial viewpoint? Q: What commercial initiatives and activities are going to be central for CRG in 2018? Q: Season 2018 has two important novelties regarding CIK-FIA: Felipe Massa is the new President and RGMMC Group the new Promoter. What is your opinion?